I'm a church guy. Well, I'm a Jesus guy who's spent A LOT of time in church circles. I've grown up, volunteered and worked in church organizations. I went to a "Christian" university. I've worked at a "Christian" bookstore. In that time I've been a part of many theological discussions. Most of which were about Calvinism. So if you would, please pardon my Calvinistic mind dump. I had a bit of a personal epiphany on the subject and I'd like to process it with anyone who might read this blog. 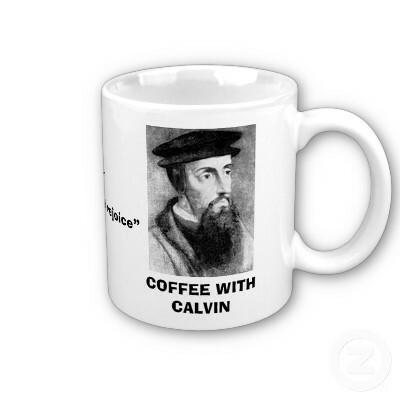 Calvinistic Theology is most often summarized with the accrostic T.U.L.I.P. Total depravity – I'm born into sin and there's nothing I can do about it. Unconditinal election – It's by God's work alone that I have been redeemed and forgiven. Limited atonement – Jesus' substitutionary atonement is effective only for the elect. Irresistable grace – God's grace is ultimate and overcoming in the hearts and lives of the elect. Perseverance of the saints – Once saved, always saved. Now for the sake of this post I'm only dealing with the point that my epiphany applies, limited atonement. I've always struggled withthe idea that God would or had knowingly created anyone with a predetermined destiny for Hell. This just never made sense to me. Why would God create someone to poplulate Hell? How is John 3:16 true if this idea is also true? Finally it hit me. I'm thinking linearly. I can't help it. Everything is a timeline for me. One thing happens, then another and then another. I was wrestling with God creating inside a timeline. People are made, they sin and then Jesus comes. The problem with that is God isn't in a timeline. Time is inside God. He's bigger than time…He created it. God is transcendent of time. Creation and redemption of that creation aren't in a sequence for Him. He doesn't create to populate Hell or Heaven. He created. He redeemed. It's all done but we can't see it. We're not big enough. When I stopped putting God's actions inside my understanding and timelines, I no longer struggled with the notion that some are born and God already knows if they are or are not elect. The issue for my life is not to correctly undstand God but to correctly carry out His will. I hope this helps someone. Our desire to understand God is evidence that we are His children. We just want to know and be like our dad. There are times however that we simply must stop trying to understand and trust.